World War I seemed so long ago, so far away. My feelings changed though when I started reading some history books and trawling through online war archives, researching the Australian Tunnellers of World War I.
I was working on a digital writing project and I had anecdotally heard that many of the World War I Tunnellers came from Ballarat. I was curious about what they did, who they were, what they went through and I wanted to know more. So I read a book by Damien Finlayson, Crumps and Camouflets: Australian Tunnelling Companies on the Western Front. I began to realise just how much I didn’t know about the Great War; trench warfare in particular. 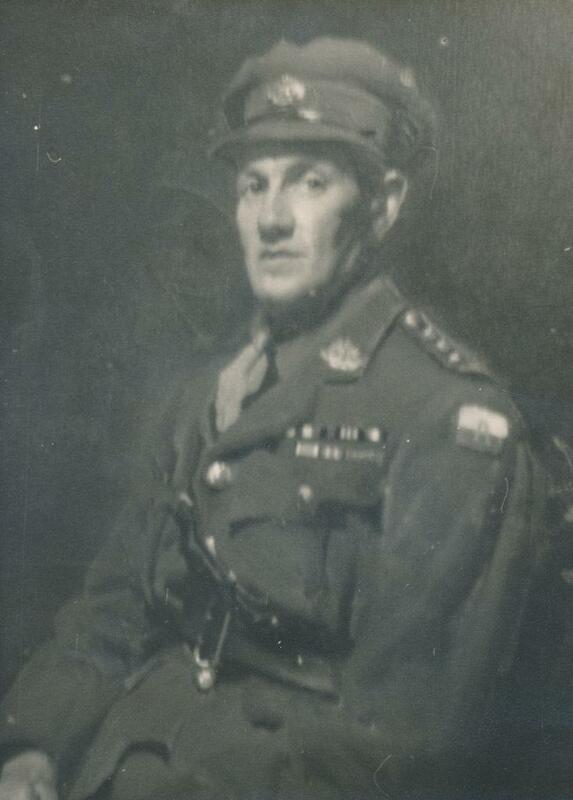 I came across accounts about one soldier/engineer from Ballarat, Major Leslie Coulter. He trained as a mining engineer and worked in Tasmania at the Mount Lyell Mine before the war. He was awarded a bravery medal by the mining company for saving the lives of men trapped in a mine collapse. In the war, he went on to see significant action on the frontlines to the extent he was awarded the Distinguished Service Order for battlefield bravery. His story intrigued me and I wanted to understand it. I wanted to get closer to that particular moment in history. 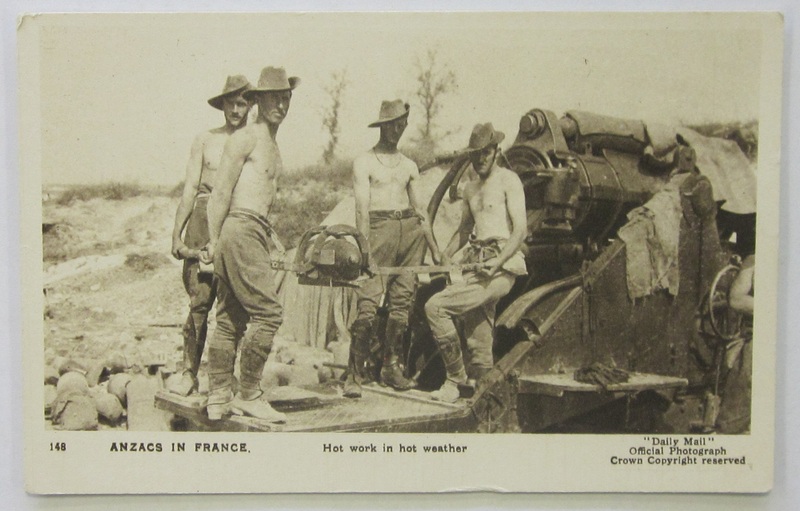 So I started exploring the digital archives of the Australian War Memorial, National Library of Australia, State Library of Victoria and WorldWarOne.com. 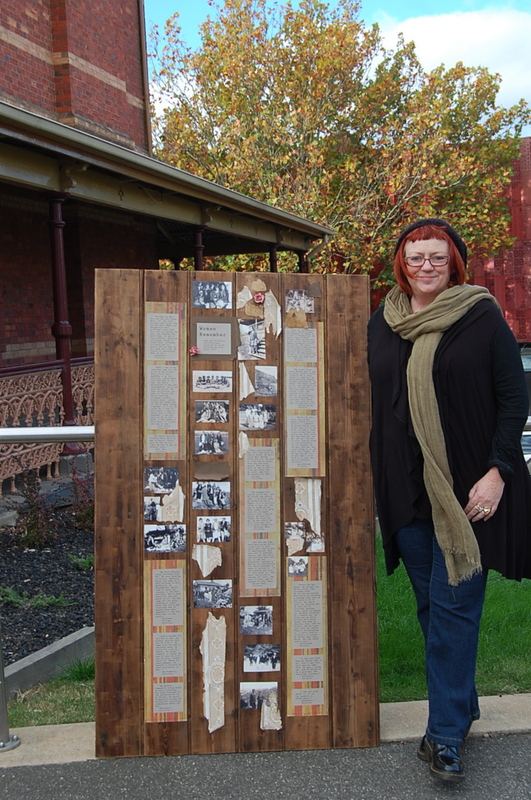 These resources helped me piece together a fragment of a picture of the Western Front and Ballarat around 1917. One small, seemingly insignificant fragment was Leslie Coulter’s home address. It was on the same street, two blocks down from where I work, a house now gone, but a place I walk past most lunch times. History suddenly felt a lot closer to me. I took a tour of the World War I display at the Gold Museum. I looked at artifacts from returned soldiers. 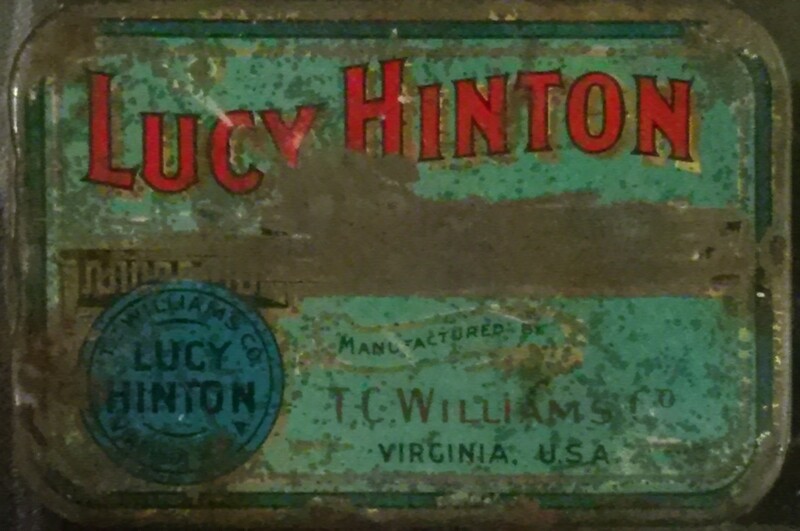 I used the soldiers’ cigarette cards and a tobacco tin to ponder and explore questions in my mind. I was trying to imagine how individuals caught up in the war effort might have felt in their own quiet moments of reflection. I also wanted to explore how I felt about what I was discovering, how I was feeling about the artifacts and archives I was seeing, the thoughts they were inspiring in me. 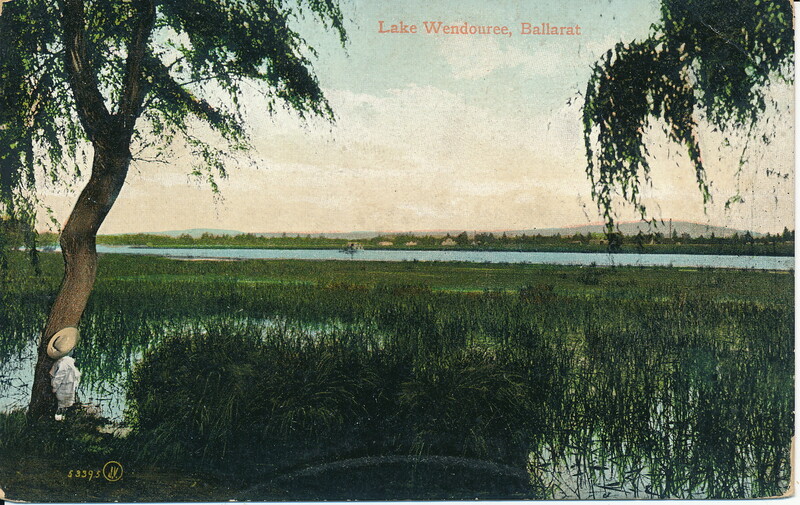 I sensed a story moving from the bright optimism of cigarette cards to the monochrome of a grave postcard through to the haunting photos of Lake Wendouree in winter. For the first time, I got a glimpse of what the devastation of war must have been like, must have felt like. The archives made me see the war afresh, see it in higher resolution. 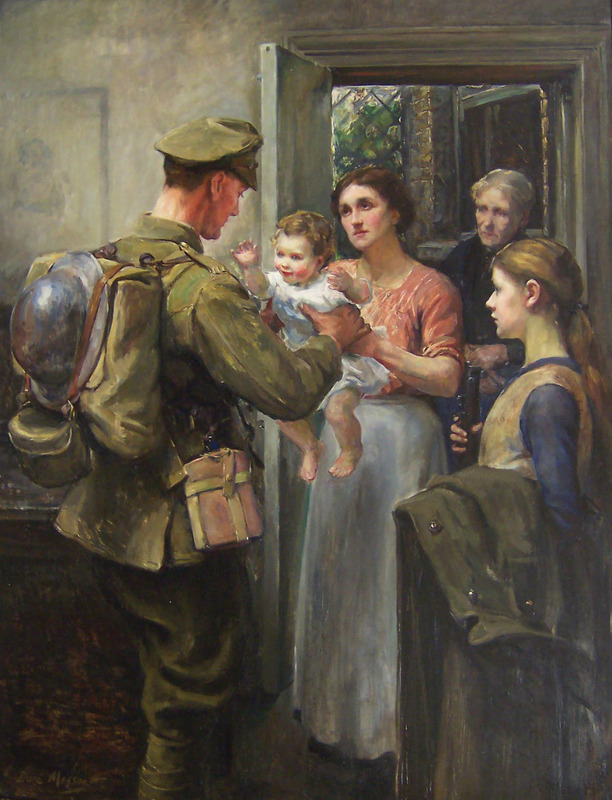 It also made me wonder about the lives of those who were so profoundly impacted and yet whose courage was not captured in the records; the mothers, wives and sisters of the fallen. Moreover, it brought home the devastation of World War I, both the obvious and the silent. The devastation of lives lived courageously and then cut short, the devastation of loss reverberating with grief perhaps unending, just moved underground. I created a webpage to capture this sense of courage and loss through images, first hand accounts and my own personal poems. Written by James O’Callaghan, professional writing and editing student at Federation University. The Gold Museum holds a small but significant collection relating to World War I veteran, Percy Lay. Percy Lay was born on 8 February 1892 in Ballan, Victoria, Australia. The son of Edward and Annie Lay, he worked as a sheep and cattle dealer before enlisting in the Australian Imperial Force in 1914). Lay was posted to the 8th Battalion and embarked for Egypt. He was in the 8th landing at Gallipoli on 25 April 1915 until Imperial forces evacuated the following year. Lay was known for his courage and determination under duress and it was these qualities that had him promoted to the rank of lance corporal in June 1915, corporal in February 1916 and sergeant in August 1916. He fought near Pozieres on the Western Front and won his first decoration for his refusal to leave a wounded comrade behind in the enemy trenches after an assault upon them on 18 August 1916. Percy was recommended for a Victoria Cross by the company commander but received a Croix de Guerre avec Palme award instead. Amongst other honours on the battlefield, Lay was also awarded the Military Medal for courage on the battlefield at Bullecourt and the Distinguished Conduct Medal for leading a platoon to its final object after the wounding of his commander. For the latter honour, he was made a second lieutenant on the field . In addition, he attained the Military Cross for his taking command of an attack after the other officers had become wounded at Broodseinde near Ypres. In February 1918 Lay was made a lieutenant and then shortly thereafter detached to Persia in 1918 for special duty. He returned to Australia in March 1919 and was demobilised from the army, establishing a farm in Alphington near Melbourne. Lay’s courageous deeds on the battlefield and within the army weren’t restricted to World War One. 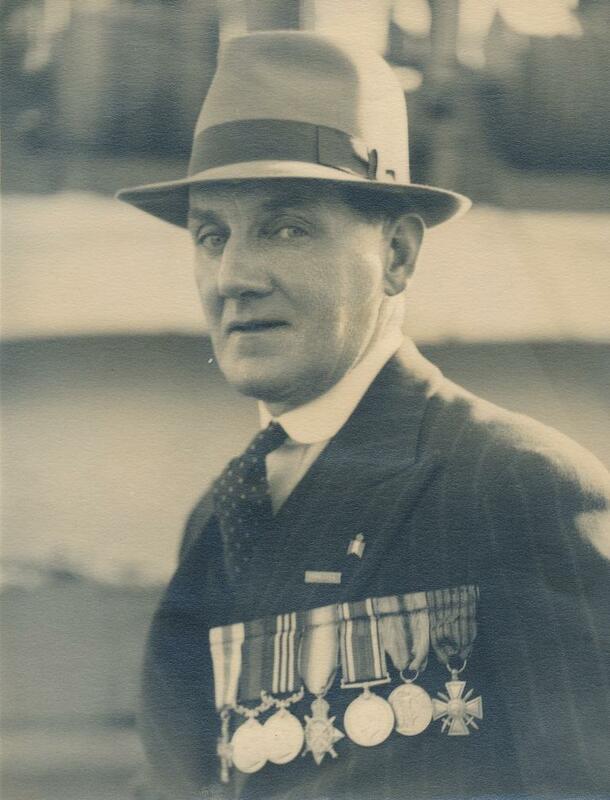 He desired to help with the World War Two effort but was generally restricted to serving in garrisons and training units in Victoria, which helped him attain the rank of major. 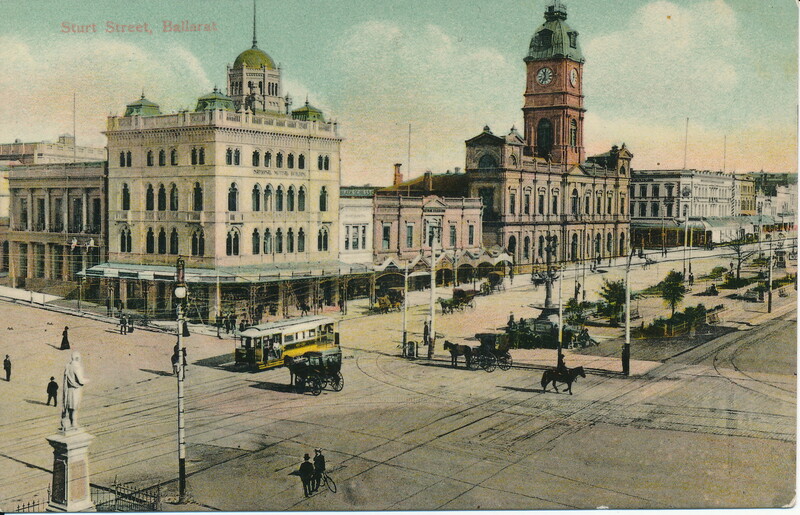 This is where he remained until illness forced him into hospital at Heidelberg and died shortly thereafter on 28 August 1955. Lay’s passing was met with a number of newspaper obituaries and tributes published in The Argus and Stand To. 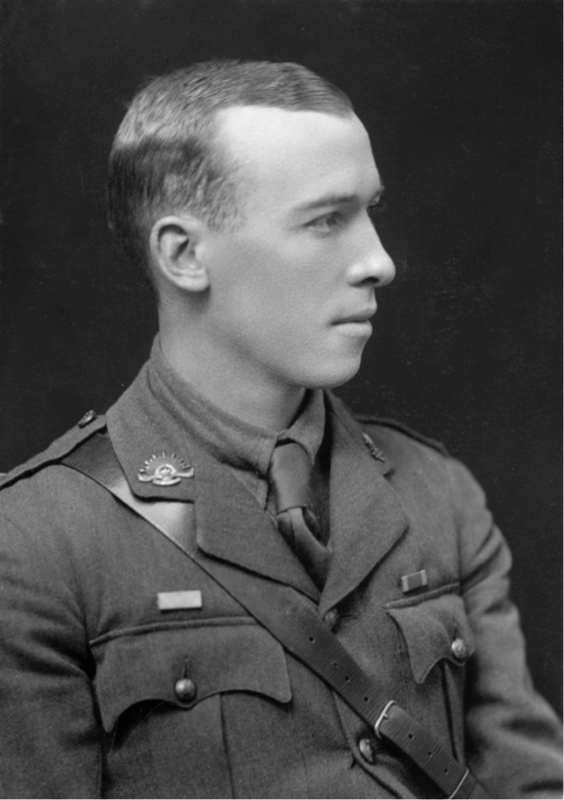 Percy Lay’s contribution to the ANZAC legend exemplifies Australia’s baptism of fire during the Gallipoli campaign of 1915 and later campaigns on the Western Front such as Bullecourt, Somme and Ypres. Lay is an excellent example of the ANZAC spirit and legend within our national consciousness and memory. Search the Gold Museum’s collection to find more material relating to Percy Lay. Written by Richard Eldridge, history graduate from Federation University and Gold Museum volunteer.